What are the Job responsibilities of a Fleet Services? 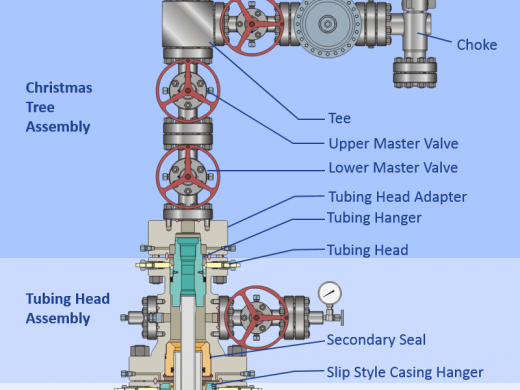 Learn to identify, evaluate and install Conventional & SSMC Wellhead Equipment. Examines, repairs, tests, and maintains Conventional Wellhead equipment at the customer site or in our Base Yard. Operate, under supervision and perform basic troubleshooting and minor repair of service tools and Conventional & SSMC Wellhead equipment. Must be receptive and able to comprehend training received on new products and services. Assist in the jobsite verification of all Conventional Wellhead equipment and supplies. . Learn to properly complete a job safety analysis (JSA) form and to assist in the performance of pre-job safety meetings. Works under the supervision of Service Technician II or above. Learns to maintain and performs general upkeep of the hand and service tools. Perform duties and activities as assigned by supervisor or mentor within the physical constraints of the job. SSMC wellhead and X-mas tree installation. Installation of Drilling Adaptor, Wear Push and Test plugs. Handling the Jet wash tool. Installation of Compact Housing and Lower head housing. Trouble shooting the problems while installing the hanger and x-mas trees. Doing the Pressure testing for Seals and O Rings. Well Integrity check and changing the well orientations. Coordinating with Rig teams and following the safety rules. PCP pumps startup operation and troubleshooting for permissive feed backs. X mass tree, SSSV, SSV and Wing valve operation. Well head control panel, Well head ESD operation. Doing Well Testing by MPFM and Test Separator. Positive and adjustable choke operation. Flowing and shut in pressure and temperature reading. Operation assistance to slick line, E-line and CTU jobs. PCP,ESP and Jet Pump operations. Inspection, operation and maintenance of Christmas tree. Chemical Injections for Downhole and headers. What are the equipments handled in Fleet Services? Test separator, 2/3 phase separator, HP and LP separator. LCV, PCV, Pilot operated PSV, PSV and PVRV. Centrifugal and positive compressors, LP and HP gas compressor. Heaters, Air dryer, Air receiver. What are the safety Trainings to be taken? What are the Occupational Trainings to be taken? PTW - Permit to Work. AGT - Authorized Gas Tester. Why should the we hire you?